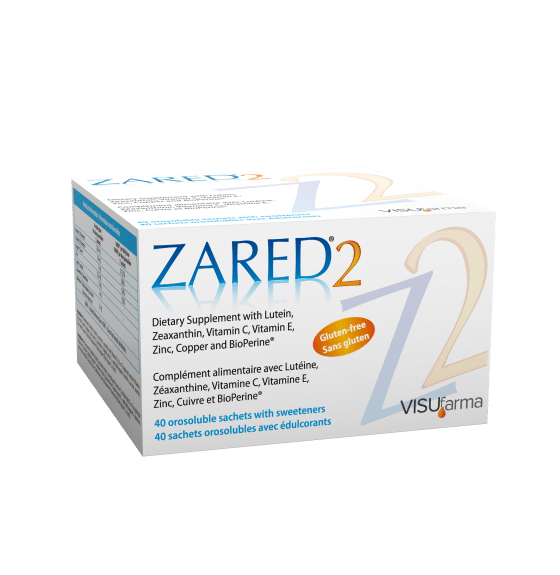 Zared®2 is a food supplement providing a source of lutein, zeaxanthin, vitamin C and vitamin E with zinc, copper and BioPerine®. Zared®2 comes in the form of a box of 40 sachets. It should not be used as a substitute for a healthy lifestyle or a varied and balanced diet. For more detailed information on Zared®2 please visit our local VISUfarma websites here.